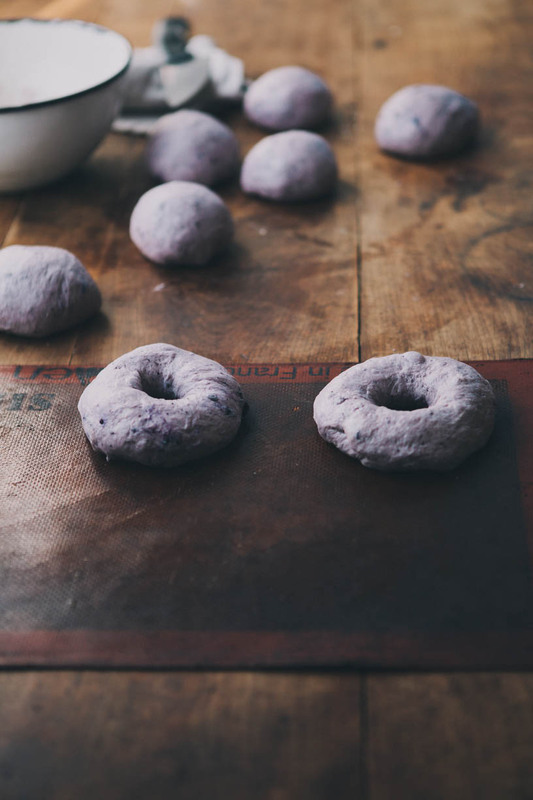 Blueberry Bagels — always with butter. I made this recipe on a whim. Dissolve the yeast and sugar in 1/2 cup of warm water, let rest 5 minutes. Mix together the salt and the flour - making a well in the center. Add the yeast and the additional water to the flour. Gently fold in the berries. 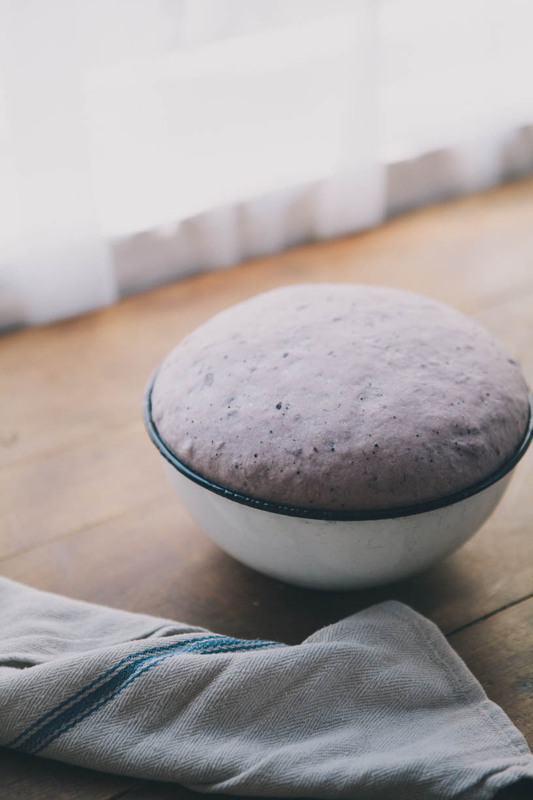 Knead until you have a soft and elastic dough. Cover the dough and let rise until doubled, about 1 - 1 1/2 hour. Divide the dough into 8 balls. 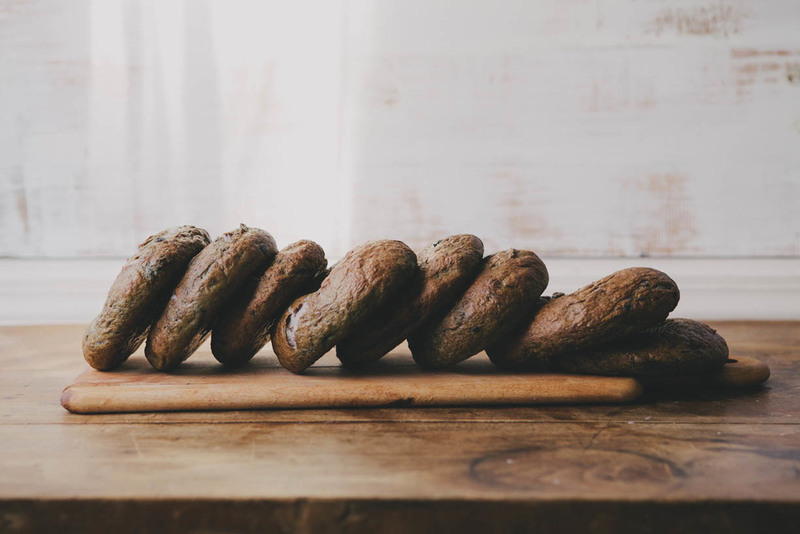 Press into the center of each ball forming a hole, and stretch to form the bagel shape. Let rest 30 minutes. Boil the bagels - 1 or 2 at a time for 3 - 4 minutes, they will float to the top when ready. Place on baking sheet and bake 20 minutes.